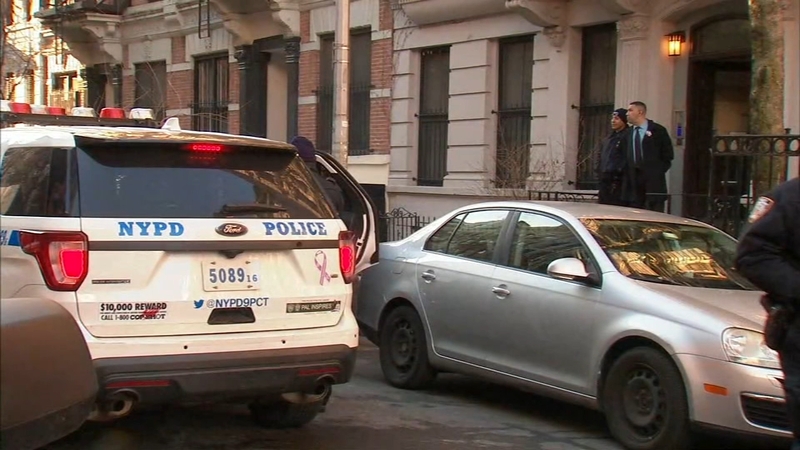 EAST VILLAGE, Manhattan (WABC) -- One person was killed and three others injured when fire broke out inside an apartment in the East Village Sunday morning. The FDNY received a call at 6:08 a.m. of a fire in a first-floor apartment on East 7th Street in Alphabet City. Most people on the block were sleeping when Michael Mills noticed something off. "I was sleeping and then the smoke hit me, I asked my wife did you smell smoke?," he said. "I said well get up, I have to empty out the building and as soon as I saw the smoke I looked out the window and the flames were just torching." The flames were coming from a first floor apartment in the back of the building. Michael says he yelled for everyone to get out. And many say they heard his voice. "Someone screamed fire and we jumped up and ran, I opened the door and saw the smoke and we ran," said fire victim Howard Neckin. But not everyone woke up. Inside that apartment where the fire began, fire crews say they had to run in to save one man, but it was too late. The smoke consumed the lower floors of the building. "You could barely see through it, we were holding on the rails to go down to get out," said Neckin. Investigators spent hours inside combing through the building near the FDR Drive while those who lived there waited outside in the cold. The medical examiner showed up to remove the body of a man that many say was a long time neighbor. "I knew what apartment it was so I was worried about him," said Mills. "He moved so slow he never would have made it out." The fire was placed under control shortly after 7 a.m. 12 units and 60 firefighters responded to the scene.